Earlier this week The Girl and I made our sorta-annual trek to pickup a Christmas tree at the nearby market. 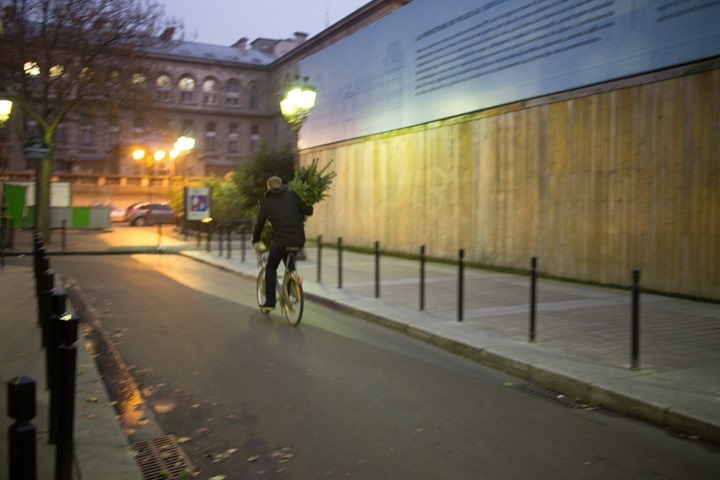 The first year we returned home via Velib (the bike share system). Last year, we ended up walking it home. By time I got home, I realized that was a terribly poor idea. Thus, this year, it was back to the bike. The route home is about 2/3rds of a mile (1KM), roughly half-that if you walk. We picked up our Christmas tree at the flower market on Ile de la Cité, just a block from the CupCakery. Which is the same place we pick it up each year. And, it’s also where the Queen (of the United Kingdom) shops for her flowers. So I figure if it’s good enough for her, it’s good enough for us. Luckily, right next to the Queen’s new namesake placard is a Velib bike stand. So we got it all loaded up into the front basket. It fits surprisingly well. 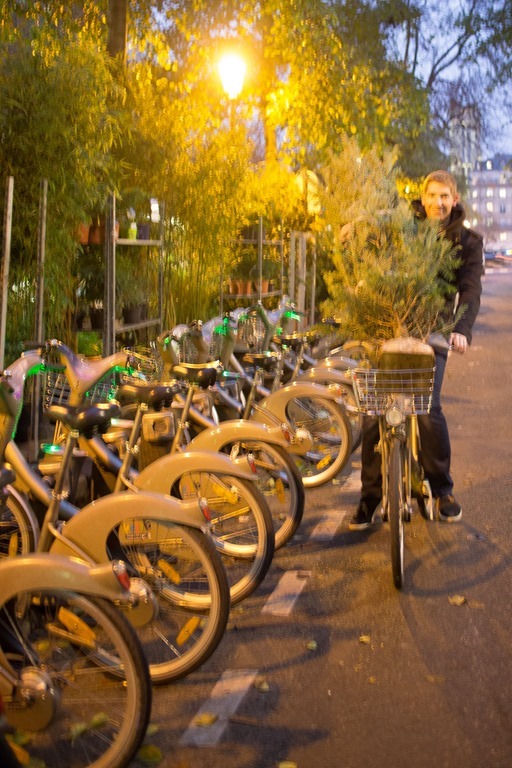 I know most Parisians stick groceries and mini dogs in there, but it’s a great plant holder too. From there I navigated out away from the market. The only challenge is the highly limited visibility. It’s like missing a side-view mirror on your car. Thankfully, the traffic is virtually all one-ways here. Would have been less than ideal to get hit by the hop-on hop-off tourist bus. Then, I zipped past a much larger Christmas Tree (Thanks Putin!) to our house on the other side of the church. Then it’s simply heading over the lock bridge and down the bicycle lane to our house. I’d make a turn on the one-way street a few seconds later and get back to the house, which is actually the building in the picture. Somewhat circuitous, but it worked. Then tonight, we got the tree all decorated. Now we just need to add some goods below the tree, then we’re all set! Hope everyone has a great weekend ahead, and thanks for reading! Oh, and if you’d like to continue your Friday morning distraction, you can see all my past ‘Photo of the day’ posts. Enjoy! Traditions are what makes the world go around! 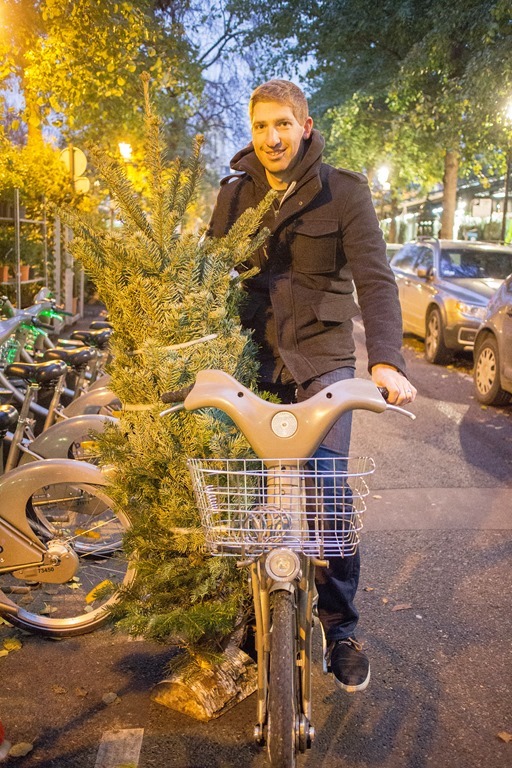 The only thing missing is the action cam video snippet through the branches on the ride home. Ahh, good point. I didn’t even think of that! Just out of interest do you own a car Ray? Great looking tree. I hope you and the Girl have a Merry Christmas and a Happy New Year! You are approved to live in the Netherlands now!!!! (everything is transported by bike). 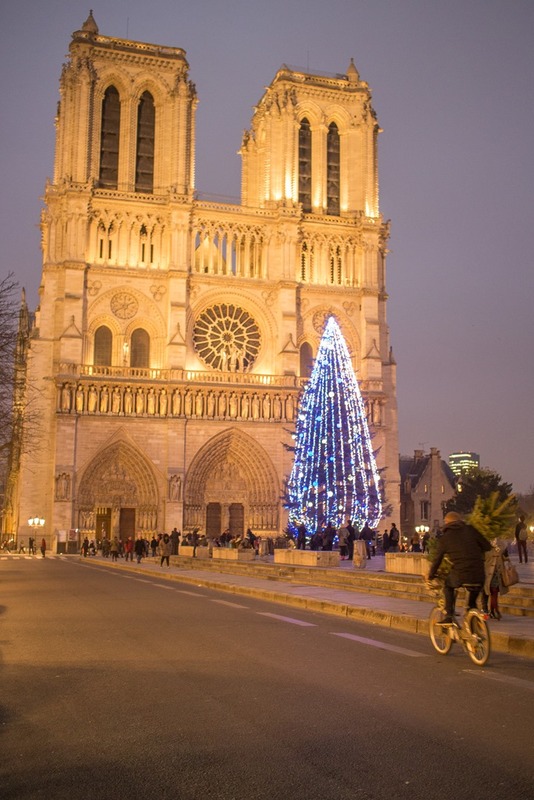 nice looking Christmas tree! Hope you & the girl have a great holiday season. These pictures are fantastic! 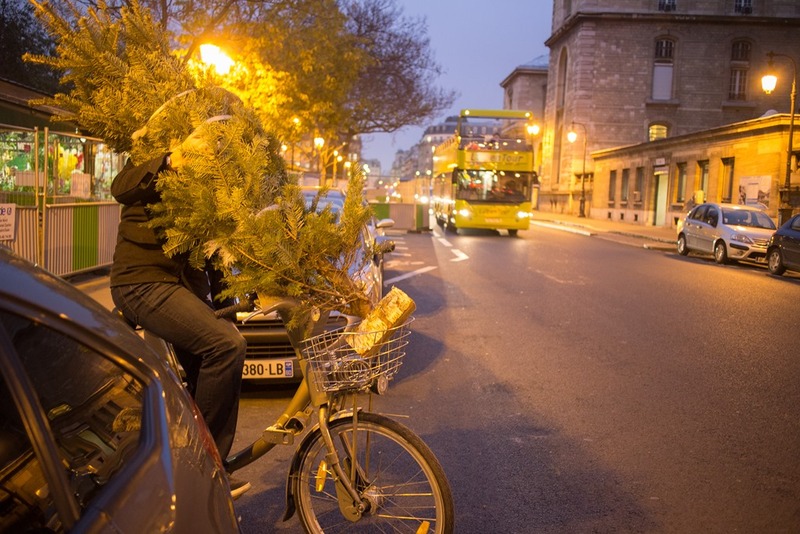 When we lived in NYC we took our tree on the subway or bus a couple years and I definitely got pictures of that, but navigating Paris on bike with a Christmas tree is amazing! And the tree looks beautiful! Happy Holidays! 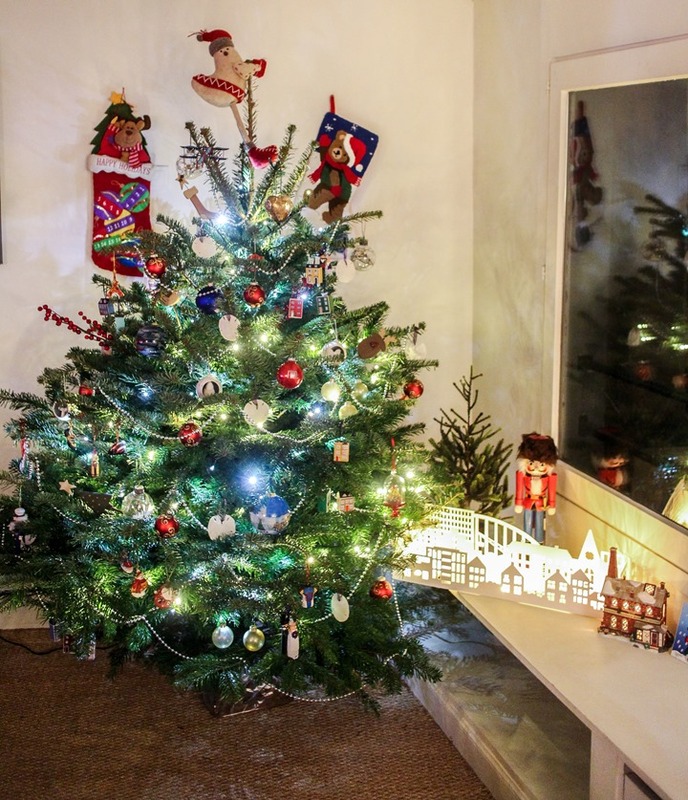 Aww come on…the room can take another 3-4 ft of tree. Being American, the goal is to stuff the largest tree possible in the room (chevy chase style). 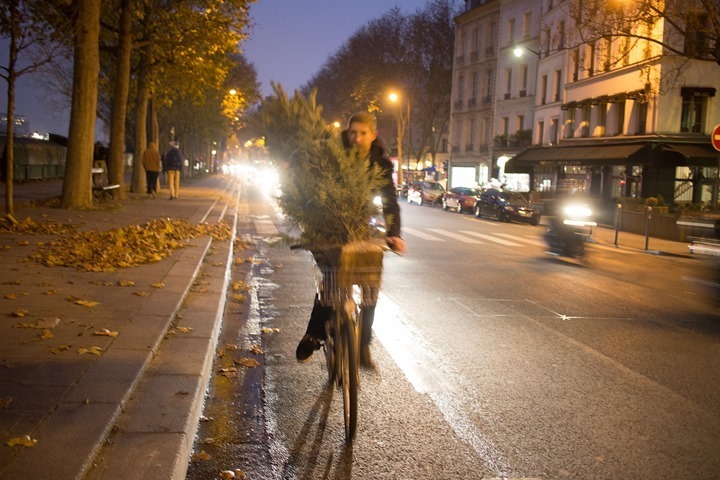 Next year, I am expecting a 7ft tree on the bike and then we will have some interesting pictures. Merry Christmas to both You and The Girl! I can’t think of what would be on your christmas list. It seems like it is Christmas everyday at your home. I’d make a guess at some down time would be a gift in itself. Merry Christmas Ray (& The Girl). Merry Christmas Ray. Looks like there’s a huge backlog on the 920XT if you order it directly from Garmin. I’ve been waiting for close to 5 weeks now. Thanks again for your thorough reviews. Yeah, I don’t entirely understand the Garmin.com backlog situation. Sorry! I do know though that Clever Training has it in stock for red/white, with them catching up in Blue next week. In case that helps. Thanks for all the excellent posts in 2014 – looking forward to more of the same in 2015. Have a great Christmas! Thanks for all the hard work you do. I enjoy your posts. Merry Christmas to you and your family Ray. Keep up the outstanding work! That’s a beautiful little tree Ray. Time for us to put our own up. Love the cycling approach. We’ve got five bikes here and no cars yet (when the wee one comes soon that may change) and carry everything on our bikes too. Just to wish you two a Merry Christmas. Wishing you both a Merry Christmas!